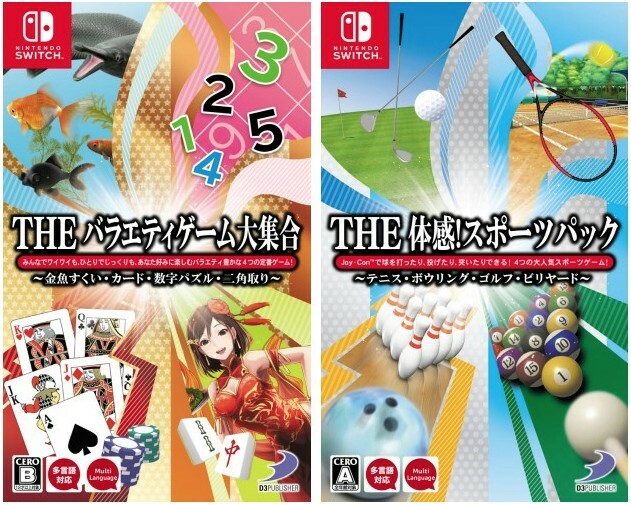 D3 Publisher has revealed the official boxart for two upcoming Nintendo Switch games in Japan. Today we have a first look at the boxart for The Variety Game Dai Shuugou and The Taikan Sports Pack. Both games are collections of variety games and sports games respectively. The Variety Game Dai Shuugou and The Taikan Sports Pack launches April 4, 2019 for Nintendo Switch.